Kellogg, Mondelez, Campbell Soup and Conagra Brands highlighted their plans to sell to millennials. What do they want? Snacks. When do they want them? Now! That's the one thing packaged food executives agreed on at the Consumer Analyst Group of New York's (CAGNY) conference on Tuesday, Feb. 20, and Wednesday, Feb. 21, pointing to the growing segment of millennials and Gen Z consumers who snack a lot more than previous generations. "The millennials have not only arrived, but they're taking over," Campbell Soup Co. (CBP CEO Denise Morrison said. She added that thanks to new food preferences, 90% of all consumers snack multiple times a day. he snacks business today comprises a $89 billion market in the U.S.
Campbell isn't alone in shifting toward snacks. 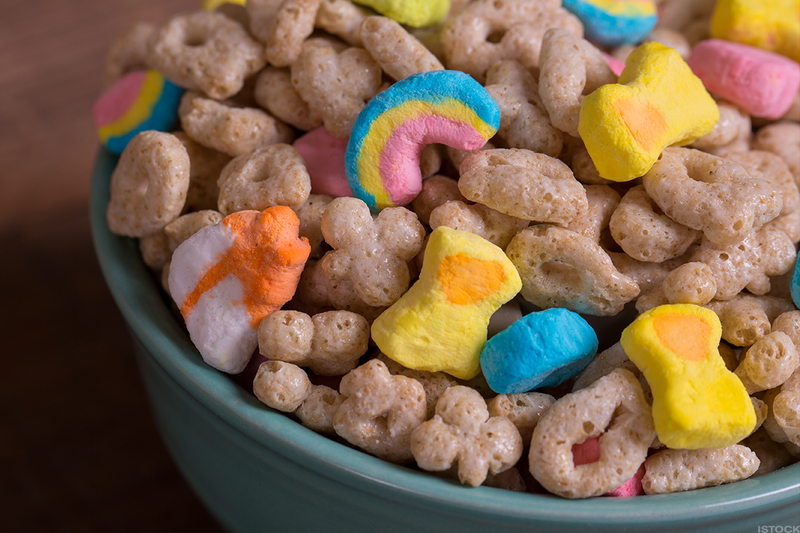 The cereal company Kellogg Company (K - Get Report) is moving away from breakfast to what's called in the industry all-occasions eating. "Breakfast is a key occasion clearly, but so is late-night snacking, and on-the-go meal replacement, and a snack as a meal accompaniment," Kellogg CEO Steven Cahillane said during his CAGNY presentation. He added that Kellogg is now "predominantly a snack company." Kellogg will be spending $50 million annually on brand building to support its banner brands like Rice Krispies Treats and Pringles, the company said Wednesday, as well as what it calls its healthier products like Nutri-Grain and newly acquired RxBar. Mondelēz International Inc. (MDLZ - Get Report) also underscored the importance of its snacks sales, which constitutes 85% of its revenue — considerably better established than Campbell's 31% snacking segment. "Consumers today are working longer hours," Mondelēz CEO Dirk Van de Put said at CAGNY. "As a result, people snack more in-between meals and as a replacement of meals. That gives about $1.3 trillion being spent on products, on snacking products, every year." That's why, he continued, snacking growth is outpacing the broader packaged food category. Conagra Brands Inc. (CAG - Get Report) , too, is taking a "new approach" to its $2 billion snacking segment as it grows faster than its other offerings. And who's driving those sales? "Millennials are growing rapidly and we're going to take full advantage of this," said Conagra CEO Sean Connolly. Connolly added that marketing addressing impulse consumption and price research are part of Conagra's plan. To court the millennials and gain more market share in snacks, all four companies mentioned future acquisitions. "We see M&A as being another important way that we can shift our portfolio's growth profile," Kellogg's Cahillane said. "[Food CPG players] can go two routes for future acquisitions: healthy or convenient," Prashant Malaviya, the senior associate dean of MBA programs in the McDonough School of Business at Georgetown University, told TheStreet last week. "The necessity is innovation, and they can achieve [it] internally through talent and externally through M&A. Most companies realize they need a healthy combination of the two." But the clock is ticking. There are only so many independent packaged food companies left, after all.